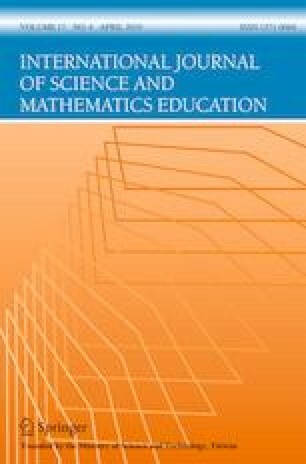 This qualitative research addresses the gap of studying the relationship between beliefs about assessment in mathematics and mathematics beliefs by identifying the (espoused) beliefs about assessment and their connections with the mathematical beliefs of 18 high school Mexican out-of-field mathematics teachers (i.e. teachers without formal training for teaching mathematics). Thematic analysis was used to analyze data gathered through semi-structured interviews. Results revealed that teachers’ beliefs are organized in different clusters that connect their beliefs about mathematics and assessment in mathematics. Some specific mathematical beliefs and beliefs on assessment played a central role on the construction of these clusters (e.g. ‘mathematics is for applications’). There are two complementary reasons for the existence of these beliefs: the daily context of the participants and their condition of being out-the-field teachers with vocational training as engineers. Bosse, M., & Törner, G. (2015). Teacher identity as a theoretical framework for researching out-of-field teaching mathematics teachers. In C. Bernack-Schüler, R. Erens, T. Leuders, & A. Eichler (Eds. ), Views and beliefs in mathematics education (pp. 1–13). Wiesbaden, Germany: Springer. https://doi.org/10.1007/978-3-658-09614-4. Fives, H., Lacatena, N. & Gerard, L. (2014). Teachers’ beliefs about teaching (and learning). In H. Fives & M. G. Gill (Eds. ), International handbook of research on teachers’ beliefs (pp. 249–265). New York, NY: Routledge. https://doi.org/10.4324/9780203108437.ch14. Grigutsch, S., Raatz, U., & Törner, G. (1998). Einstellungen gegenüber Mathematik bei Mathematiklehrern [Attitudes towards mathematics in mathematics teachers]. Journal Fur Mathematik-Didaktik, 19(1), 3–45. https://doi.org/10.1007/BF03338859. Harris, L. R., & Brown, G. T. L. (2009). The complexity of teachers’ conceptions of assessment: Tensions between the needs of schools and students. Assessment in Education: Principles, Policy & Practice, 16(3), 365–381. https://doi.org/10.1080/09695940903319745. Iannone, P., & Simpson, A. (2016). University students’ perceptions of summative assessment: The role of context. Journal of Further and Higher Education, 41(6), 785-801. https://doi.org/10.1080/0309877X.2016.1177172. Suurtamm, C., Thompson, D. R., Kim, R. Y., Moreno, L. D., Sayac, N., Schukajlow, S., . . . Vos, P. (2016). Assessment in mathematics education. Berlin, Germany: Springer. https://doi.org/10.1007/978-3-319-32394-7.